Home Industry Updates DRINKS & BEVERAGES Organic Super Juices introduced at Gulfood 2019 Dubai! The ‘European Organic Juices’ made from three different organic fruits were introduced at an event at Gulfood 2019. The campaign backed by the European Union (EU), took place on the 18th of February 2019, at Dubai World Trade Center. Europe is one of the important producers of organic juices. 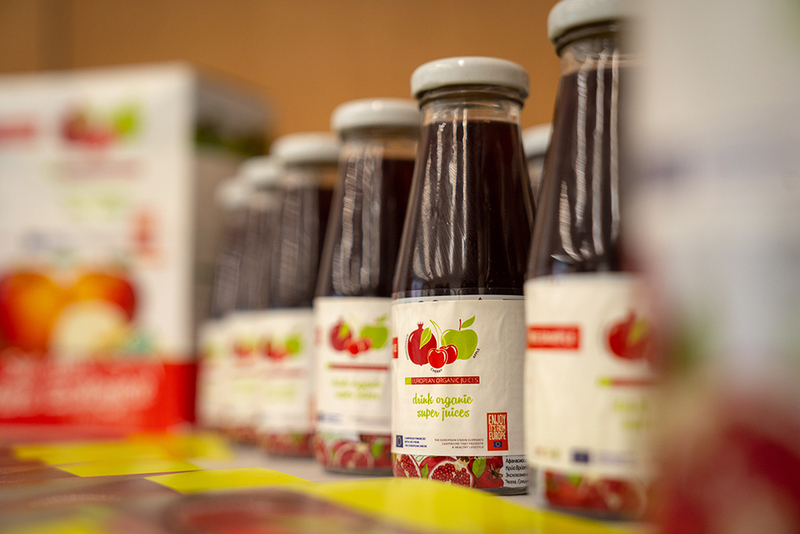 The 3 new flavors of organic pomegranate, organic cherry and organic apple from the European juices sector are represented by 3 countries, Greece, Bulgaria and Romania. Organic pomegranate juice is represented by ASOP, a producer’s organization. Organic cherry juice is represented by BNHU, a non-profit trade organization. And organic apple juice is represented by BIOROMANIA, an association of entities (organization, producers) that are activated in the organic farming sector. Ms. Marianna Miltenova, representative of B.N.H.U. and Mr. Vlad Cioceanou, representative of Bioromania, Romania, were present at the event in the presence of journalists and food bloggers. The event agenda included juice tasting sessions and a presentation on the benefits that the premium ingredients have including promoting a healthy lifestyle. The EU campaign “European Organic Juices” campaign was introduced with the purpose of disseminating quality European agri-food products in the region.